Apologies for the quiet here this past month. Things have been busy, and cooking, writing, and reflecting have fallen by the wayside a bit. We’ve got 24 days to go until our wedding, which is both insane and kind of a relief. I’m feeling rock solid about marrying Trevor, which is 99.9% of the battle, but there’s still a lot of miscellaneous stress associated with hosting a party for 50 with all kinds of societal and emotional strings attached. I’ve got a lot of thoughts on weddings at this point, but I’ll save those for a later date. Today, what I’m here to talk about is this Scandinavian dinner menu – my latest collaboration with La Crema wines. It’s inspired by my recent trip to Iceland: in July I finally took advantage of Boston’s relative proximity to Scandinavia and spent a long weekend there. Iceland has been at the top of my travel wishlist for years and I was so excited to finally be in the land of moss-covered lava and epic waterfalls. 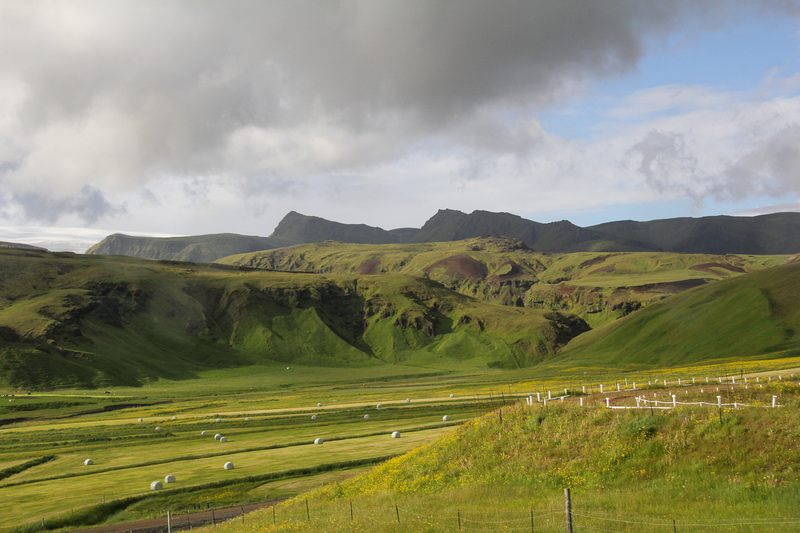 I have to do a real travelogue at some point, but suffice it to say that the Icelandic landscape is incredible (and here’s a few teaser shots!). One moment we were driving through an alien landscape of hardened lava boulders tumbling into the sea, the next there were pockets of geyser steam rising up all around us, and then, suddenly, we were in the midst of fields of lupine in front of massive glaciers. 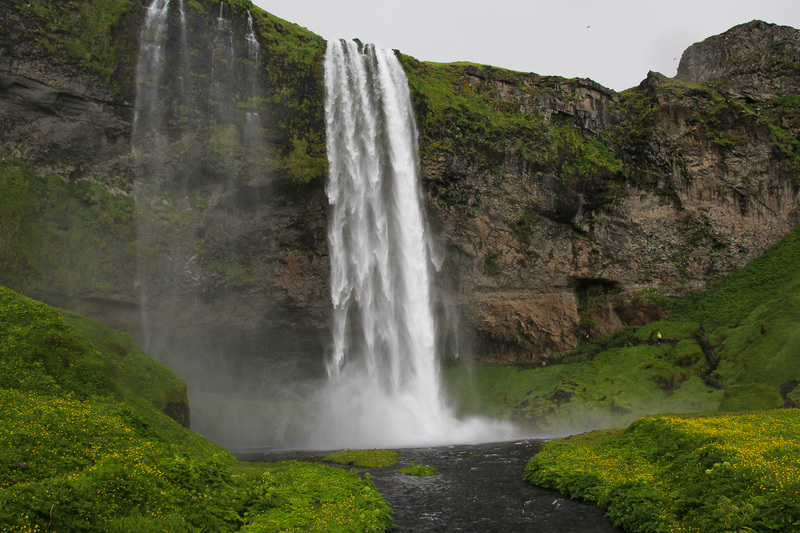 Iceland is known for being pretty expensive. I certainly found this to be true, particularly when it came to food. The silver lining to this was that the price differential between cheap food and fancy food was much smaller than it is here in the US. While a gas station hamburger could set you back $20, a three-course meal with wine at a top restaurant only cost $60. So despite the expense, we managed to have some very good meals. Our most memorable culinary experience was a 3 course dinner at Forettabarinn in Reykjavik. It was our final night as a group (and a semi-bachelorette celebration) after a long weekend of adventuring in South Iceland. The food was creative and well-executed, the wine was abundant, and the company was unbeatable. That lovely dinner served as the inspiration for this one. There are three courses to this menu. 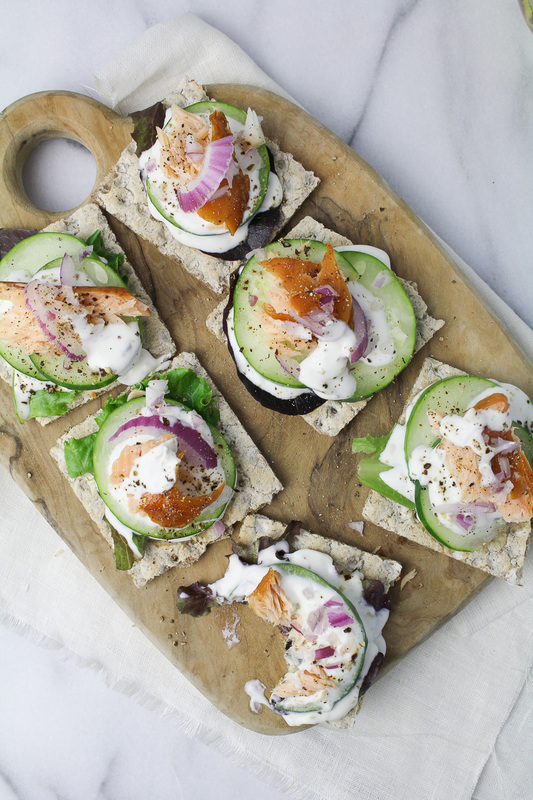 First, a super-simple Smoked Salmon and Rye Crackers appetizer. Everyone should have a few minimal-effort, but still fancy-feeling appetizers in their repertoire. This should be one of them. The only “cooking” is to whip up a little cream with capers, slice a cucumber, and assemble. It’s also very portable, so guests can easily grab one of these and a glass of wine while mingling. On that note, the wine to open for this course is La Crema’s Monterey Chardonnay. Its bright acidity and smooth texture stands up nicely to the fatty, smoky salmon and rich caper cream. 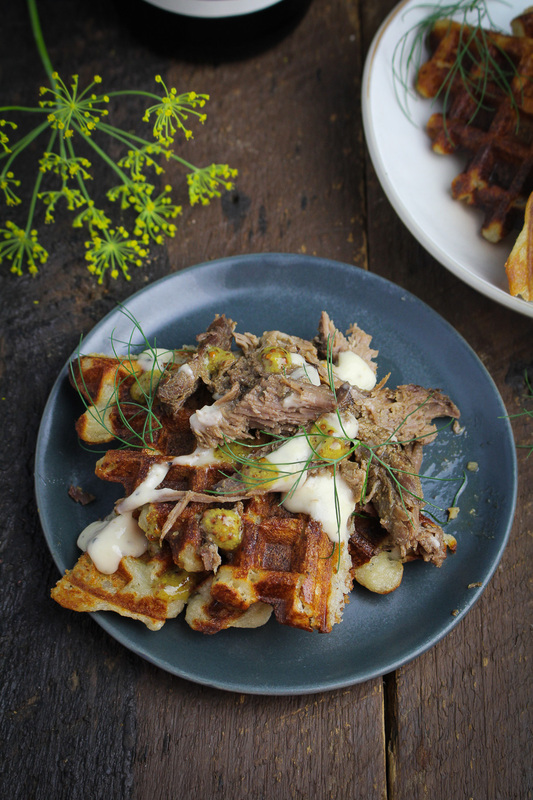 The main event consists of two parts – Mashed Potato Waffles with Horseradish Sauce and Mustard-Thyme Pulled Leg of Lamb. I don’t think I’ve ever had lamb served BBQ style before my dinner at Forettabarinn, but it’s so wonderful. 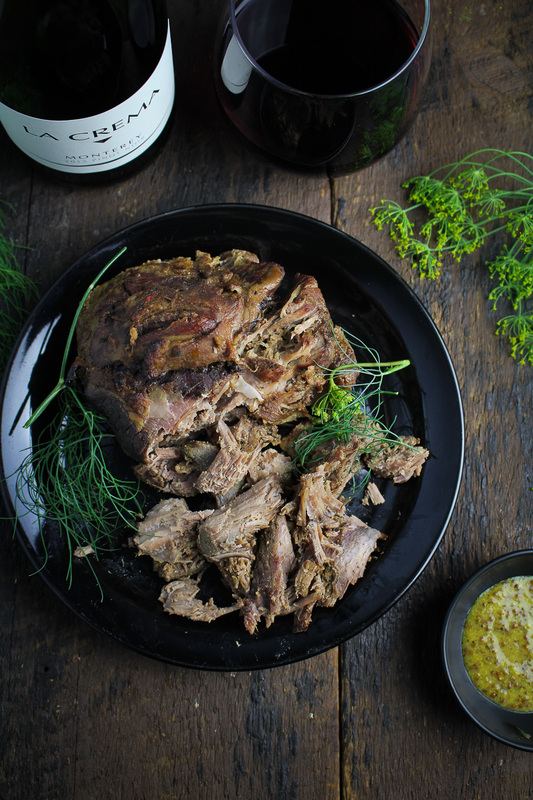 Ideally, I would have liked to use a slightly more economical and fattier lamb shoulder for this recipe, but I couldn’t find one at my butcher. The result was still good – tender, falling apart lamb, completely imbued with the flavors of mustard and wine and paprika. It was delicious on top of the potato waffles with a bit of horseradish sauce and grainy mustard. 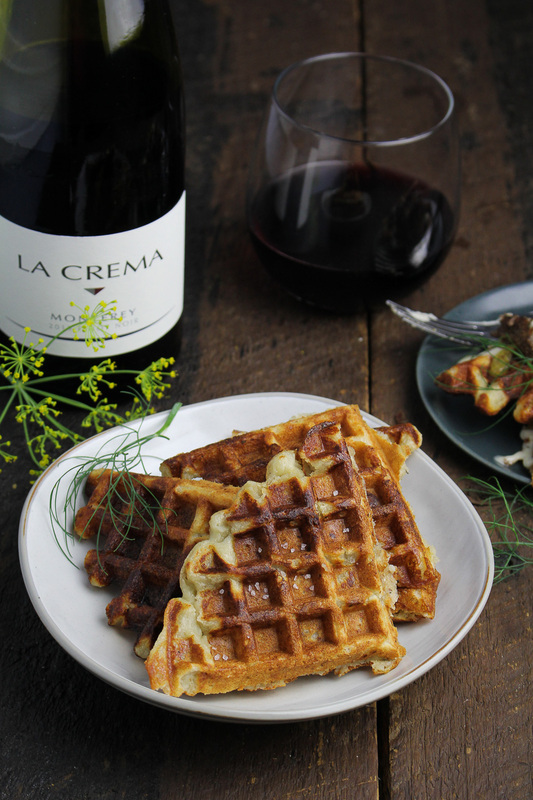 For this course, I opened a bottle of La Crema’s Monterey Pinot Noir and it was so good together! Just tangy and juicy and yum. 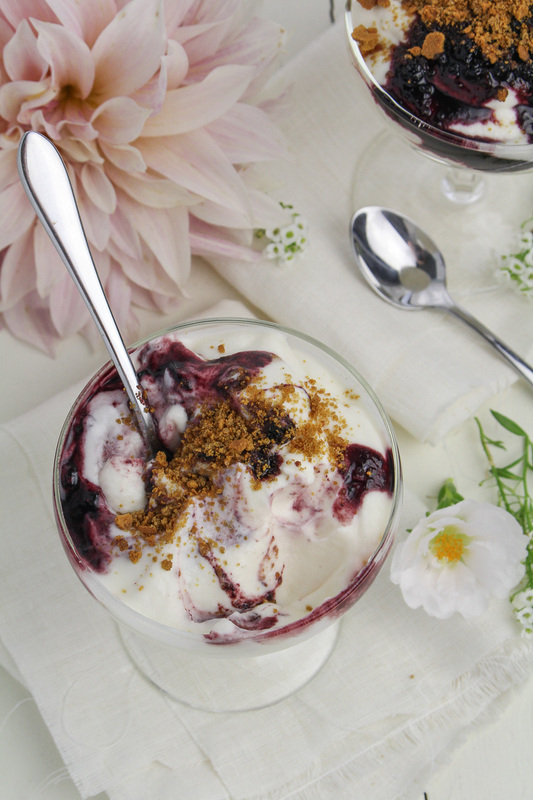 For dessert, I whipped up a light Skyr Mousse with Wild Blueberry Sauce and Gingerbread Crumbs. If you’re not familiar with it, skyr is Iceland’s answer to yogurt, only it’s thicker and tangier. Similar to Greek yogurt, it’s rich in protein and very trendy here in the US. To turn it into mousse, I incorporated whipped cream and a hint of sugar. It was such a treat – light and airy with a distinct tang from the skyr. It was also so simple to put together. 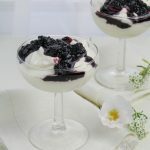 The only other recipes I saw for skyr mousse involved a fussy gelatin method, but I opted for a much simpler treatment here – whip cream, whip skyr, fold together, serve. With the maple-blueberry sauce and a sprinkling of gingerbead cookie crumbs it’s a more-than-the-sum-of-it’s-parts dessert. 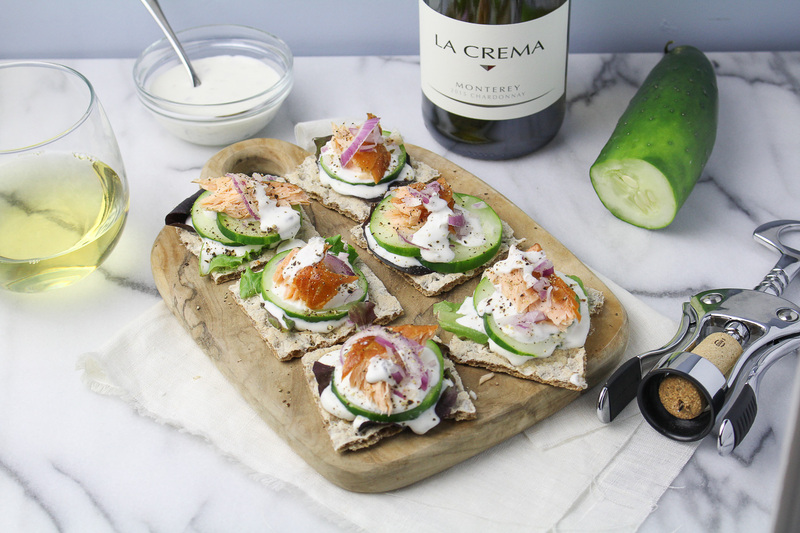 You can find the recipes for the first two courses on the La Crema blog: Smoked Salmon Rye Crackers with Caper Cream; Mashed Potato Waffles with Horseradish Sauce; and Mustard-Thyme Pulled Leg of Lamb. 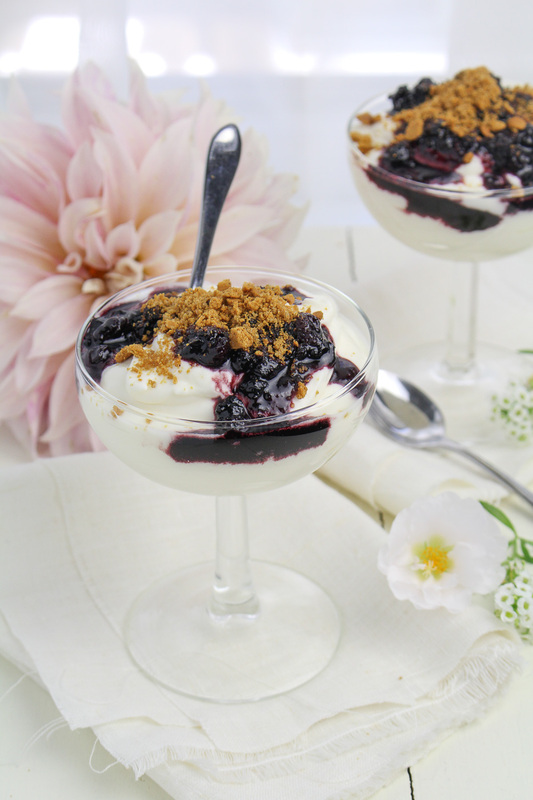 The Skyr Mousse with Wild Blueberries recipe is below! 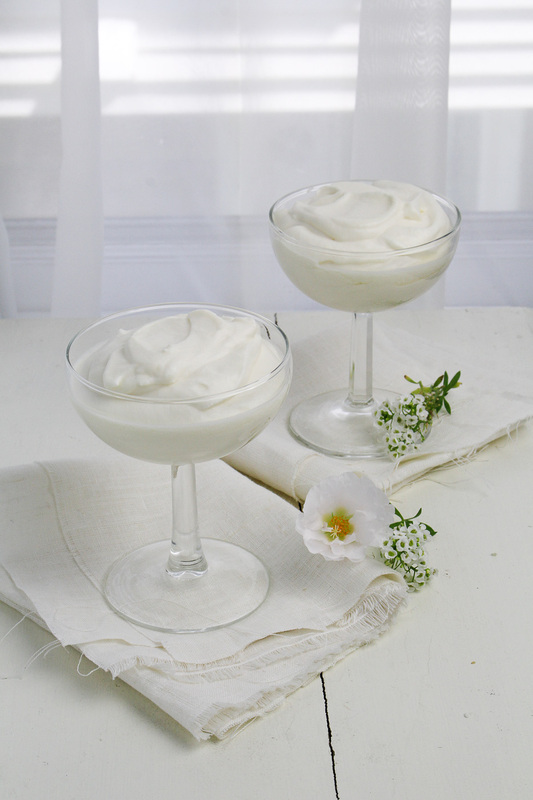 A simple skyr-based mousse made from whipped cream and thick, yogurt-like Icelandic skyr. Served with wild-blueberry sauce and gingerbread crumbs. Place the blueberries, maple syrup, and lemon juice in a small saucepan and stir to mix. Bring to a gentle simmer over medium-low heat. Simmer the berries until they have burst and released their juices and the sauce is slightly syrupy, about 8-10 minutes. Keep a close eye on them to be sure they don’t burn. Remove from the heat, transfer the blueberry sauce to a storage container, and chill thoroughly. To make the mousse, whip the heavy cream on high until stiff peaks have formed. Add the sugar and beat for a few seconds longer, just to incorporate the sugar into the cream. In a separate bowl, beat the skyr for 30 seconds until it is lightened slightly. Add half of the whipped cream to the skyr and use a spatula to gently fold together. Repeat with the remaining half of the whipped cream, folding just enough to mix the two together. Don’t overfold or your mousse may deflate. Chill the mousse until ready to serve. Place the gingerbread cookies and the brown sugar in a small food processor and pulse several times to make crumbs. Set crumbs aside.